Providing you the best range of welding automation system, welding automation machine, inverter dc welding machine, beam straightening machine and straightening machine parts with effective & timely delivery. 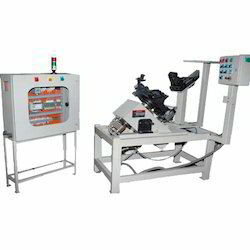 To meet excellent quality standards, we are offering a quality range of Welding Automation System. The Welding Automation System we offer is recommended amongst the clients for its sturdiness. These products are suitable for various applications.The product we offer is safe to use. These products are tested for their quality before being introduced in the market. Moreover, offered products are highly reliable.